Matters are coming to a head where the re-valuation of the currencies is concerned, and the degree of urgency is such that extra efforts are being made to progress. Everything seems to be ready and many are anxious to get started with a scheme that has required much planning and co-operation of the countries concerned. So it is to be hoped that the organisation is such that once the “go ahead” is given, all will slip into place without undue difficulty. Be assured that very many people are involved in the process of exchange and distribution of the currencies. There is however some suggestion of minor delays that could run into weeks, but the fact remains that the “go ahead” is very near. It will be the commencement of tremendous activities that will escalate as each country makes the changes necessary. Opposition to the changes by those of the Illuminati is incapable of preventing the declaration, that will give the authority to proceed with the first nominated countries. I wish to emphasise that now as you are getting a little deeper into the new energies, so the old ones are beginning to lose their power to greatly influence you. 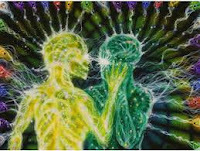 Instead the new ones are causing changes to take place that are taking you into the New Age, and as a result there is much friction between the two, but the old energies are beginning to die out and there will be no way to bring them back. Much that will truly launch the New Age is biding its time, so that when it is ready it will be introduced in a sensible manner so as not to overwhelm you. It promises much that has been held back, and when released it will lift up your quality of life to levels not previously experienced. After all, it is your collective power of thought that paves the way forward, although you are prompted and encouraged to follow a certain path by those who oversee your progress. They know what is needed to ensure you do so in a way that benefits the human race, and continues to ensure that you are fully enlightened. As you already know, there are major changes coming up that will speed you into a new era, but keep an open mind as you cannot yet see the ultimate purpose although you do know that Ascension will occur in most of your lifetimes. Exciting times are approaching when steps taken can ensure peace, with no risk of war or the disruption that would be caused by it. Countries will come together as it will be in everyone’s interest to make peace successfully and protect the people from such abominable acts as war that fly into the face of the Supreme Creator of All Love. People will begin to feel the effect of the changing energies and [begin to feel] lifted up. A new sense of togetherness will grow where each person feels love for their neighbours. It will be realised that “All are One,” regardless of colour or creed. Suddenly the warmth of love will accept the differences that exist between you, and by helping each other lift the Human Race up to new levels. It will be seen that all can be in harmony and every soul enjoy a life of happiness and achievement. By such times those who are unable to raise their vibrations will have taken a different path that is appropriate to their needs. Evolution continues all of the time, and cannot be stopped regardless of the intentions of those who oppose it. Dear Ones, you are entering a great period of change, even if it is not apparent to you. 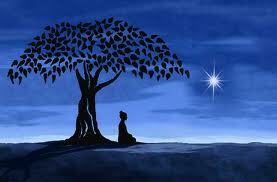 It will result in the peaceful existence that you have sought for many hundreds of years. In time you will realise that it could not have come until as a human race you raised your vibrations. If you had not done so, you would not have passed the marker year 2012, but, since you have, everything has gone speeding ahead, even if it is not yet apparent to you. Progress can be slowed down but not stopped, and whilst you have been trying to lift up out the morass of the lower vibrations so much has been achieved that is yet to be disclosed. Free energy is available and many projects have resulted in the design of equipment and appliances that will change your way of life. So it shall continue until you are all self-sufficient, and that will be extremely useful as you venture deeper into the coming cold weather years. 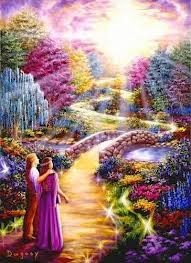 In the immediate times to come you will find that many young people who came into birth as Indigo children are much different to you of the older generations. They have much knowledge that will be able to solve problems more efficiently and sometimes in ways that are new and more practical. They have come to Earth for the very purpose of helping you take your place in the New Age, with technologies that have been released to them. In fact many are now ready to help Humanity take a giant step forward, and speed up your advancement into the period of great changes that will benefit you all. History will show that there is always a right time and place for new innovations to be introduced, and of course it cannot be done without the right people also being involved. Be assured that all family members and friends that have already passed over are following your progress with much interest. They know what is expected of you and, when they draw near to you, give you every encouragement they can. For those of you who leave the body whilst in your sleep state meet most likely in the Summer Realms with those you hold dear and you no doubt have an enjoyable time. However, few are gifted with the ability to remember such a meeting, and that is so as to keep it from interfering with your day to day experiences. Nevertheless, some of you have impressions of such a meeting, but cannot recall it in detail. 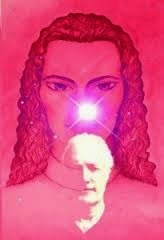 As I have mentioned previously, but confirm for those who are unfamiliar with the Summer Realm, you go out of your physical body that is of course “fast asleep,” into an etheric body that is exactly as you [are] and even more so because it does not carry forward any disability or loss of limbs. Indeed, you can “think” your body into whatever age you wish as it responds to the power of thought. You should by now realise that you are far greater than you could possibly imagine. You take a physical body so that you can experience duality and, with a few exceptions, you have up to hundreds of life experiences. Some are vitally more important than others and represent a major leap forward in your evolution. All lives are agreed before you incarnate yet some souls pull out at the last moment. It is an opportunity lost but on the other hand can be held over for the next opportunity. The point being that other souls are also involved in your experiences. By your reasoning it is quite a complicated matter to get people together at the right time for karma to be worked through. It is all part of your life plan agreed before you actually incarnate. The more you learn about it you will appreciate that an incarnation is a fair and reasonable way to obtain the experiences you need. It is always planned to advance you and can be adjusted to fit in with your abilities. I did not know about these kind of self message before.I have read it thoroughly and found it too interesting.It throughout grasp my interest and I did not think to move on for even a second.